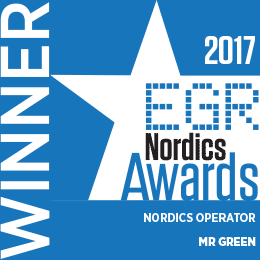 Welcome to Mr Green, the fairest of online casino operators. 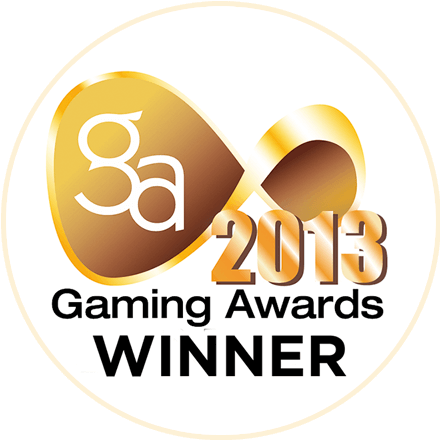 We are all about entertainment and having fun in a safe and responsible gaming environment. Here at Mr Green, we value the customer’s experience above all else. 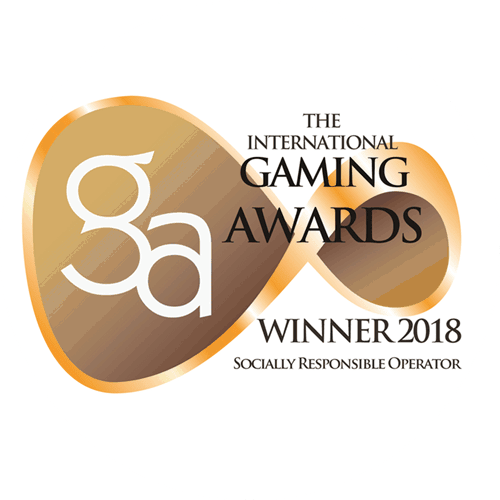 Our dedication to responsible gaming and our focus on entertainment has won us many industry awards, including IGA Online Casino Operator of the Year in 2013, 2014, 2015 and 2017, and SBC Award for Socially Responsible Operator of the Year 2017. Online casinos are the virtual equivalents of traditional casinos and growing massively in popularity. 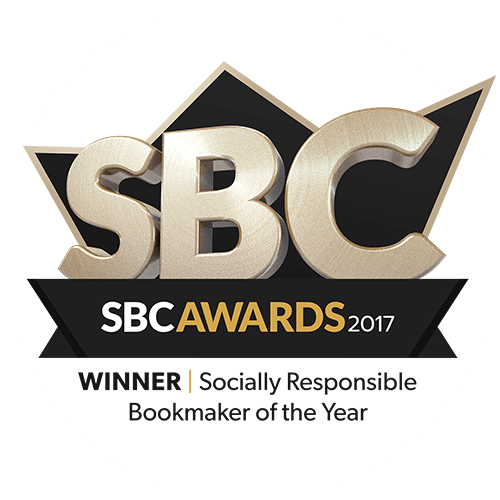 Online casinos allow people to play and wager on online casino games such as slots and table games through the internet using a computer, tablet or smartphone. 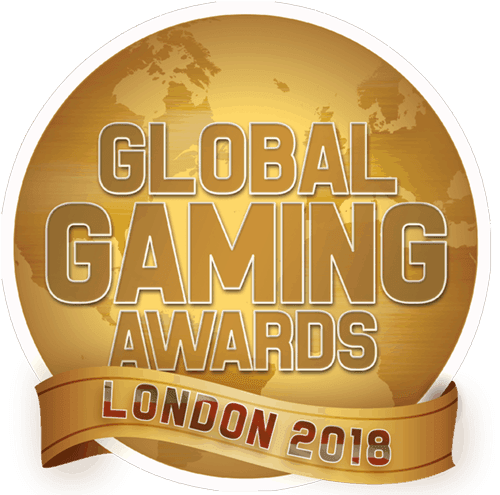 The games on offer at online casinos are generally bought or rented from game providers like Plan Go, Microgaming, Playtech, NetEnt, and Yggdrasil Gaming. It is common that online casinos offer slightly higher odds and payback percentages than land-based casinos. Mr Green is well-respected among online casino operators and is known as the gentleman of online casino operators. Mr Green has a large variety of games you can play and things you can bet on. From number games to slots, table games, and sportsbook, we have plenty to keep you entertained in a safe and fair environment. Our number one priority at Mr Green is that we offer responsible gaming to our clients. With our innovative Predictive Tool, we are setting new standards in the industry for allowing players to control and monitor their gambling behavior. Ultimately, it’s the priority and importance that Mr Green puts on our customers that enables you to have the best gaming experience possible. If you like to play casino online, we have several options. It can be played on your desktop computer, or on your smartphone or tablet. It is very straightforward to get started and join in on the fun; all you need is an internet connection. This all applies to the casino, the live casino, and odds, and live betting. Mr Green’s live casino allows you to play table games like Poker, Blackjack, Roulette, and Baccarat with professional live dealers. You can either choose to join a table of other players or go one-on-one with the dealer. We have many tables for each game, including Texas Hold’em, Caribbean Stud Poker, and exclusive Mr Green branded tables. You will find that our live casinos are the closest thing to playing in a traditional casino that you will get in the virtual world. Mobile is the most popular platform among our customers. 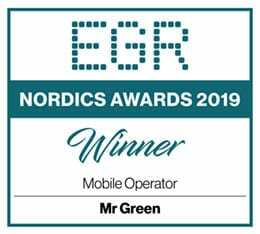 Mr Green is a mobile-friendly casino, and most of our games are fully available to play on smartphones. 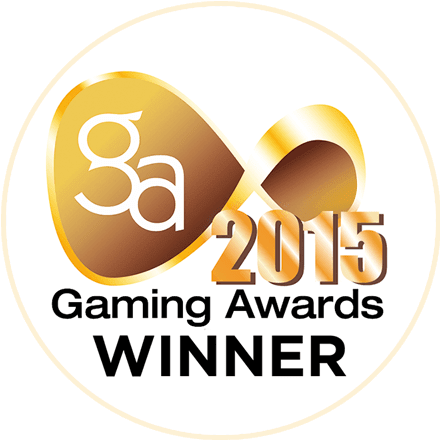 This means that as long as you are online, you can access Mr Green's casino to play any of your favourite games from almost anywhere. You can place live bets on a huge selection of sports events such as soccer, ice hockey and tennis in our innovative Sportsbook 2.0. Live betting means you can place your bet once the circumstance has already started and is underway. It is an exciting form of betting that gives you action-packed access to many more markets than in traditional pre-event sports betting. For example, in addition to betting on the traditional outcomes, you can also bet on the next major play of a sports game, who will score the following goal in a soccer match, or who will get the next booking in an ice hockey match. The Sportsbook 2.0 tool will also grant you access to our Bet Assist tool, which can give you a competitive edge when you place your bets. Mr Green's app, which is available for Android and iOS, is also an option if you prefer to play on your smartphone. The app features intuitive and easy-to-use navigation with tons of features that will ensure you have a superb gaming experience. It is simple, quick, and easy to use. With the app, you can wager on your favourite slots, live casino tables, Keno, and sports events (live and pre-event). It is secure and easy to deposit and withdraw money from the app, and in case you may have any queries, the customer support team is always willing to help. The Green Gaming tool also comes built into the app. This unique and helpful tool allows to quickly and easily propose limits for wagering, loss, or deposit to ensure your experience is as fun and safe as possible. This space-themed extravaganza is a vibrant and fast-paced game that features five reels and ten play lines. One of the most exciting features of this game is the Starburst Wilds, which appear on reels two, three or four, where they stay in place for up to three re-spins at no additional cost. A bright and exciting game in which Gonzo the adventurer travels through the South American jungles in search of Eldorado, the lost city of gold. Great graphics, fun animations, and lots of exciting special features all combine to make sure you have a great experience while playing this game. Two identical reels are linked together in Twin Spin. For each spin, the dual reels can expand to become three, four or even five-doubled reels. This unique take on slots and the massive 243 ways you can win mean that there’s no end to the fun and excitement Twin Spins can offer. Rainbow Riches is one of many slot machines with a Leprechaun theme. It is a fun and exciting game with plenty of fascinating features to keep you entertained, like a bonus round called Pick Me, or Pots of Luck. There is a Wild that helps to create a winning combination by matching certain symbols together. This is the Leprechaun Gold Coin. Make sure to pay attention to the Leprechaun’s hat, however, as this can trigger a bonus round. Mega Moolah is an Africa-themed jackpot. It offers a variety of ways to win on a combination of reels of five and twenty-five unique to no other game. Lions can potentially double your winnings if you get one. Scatters come in the form of Trophy Hunters, which will offer you 15 free spins and tripled winnings if you win with free spins. The Ra Book is a very well-known and exciting game. The theme of the game is an adventure into the mystical world of ancient Egypt. Excellent graphics and superb designs combine well with the sound effects to make a jazzy and exciting game. The game also has the bonus feature which gives you a symbol selected at random which acts as a type of joker during the lifetime of the bonus. In roulette, the players have to bet on either black or red, a single number, groups of numbers, even or odd, or high [19–36] or low [1–18] numbers. The croupier then has to spin the wheel of the roulette table in only one direction and a ball in the opposite direction. The ball travels in a track on the edge of the wheel. The ball will start to slow down as it goes past a number of deflectors, it will then drop on the wheel and end up in any one of the pockets, which are either red or black and numbered. At Mr Green, there are many different types of competitive games and events available for betting. Some examples include; soccer, ice hockey, tennis, boxing, and even mixed martial arts. You can also bet on politics and the outcome of specific events such as the Eurovision contest or X Factor. The manner in which you place your bets varies depending on the type of game or sport. We also offer live betting along with our traditional pre-event betting. The grand prize on slot machines is known as the Jackpot. Progressive jackpots, ones in which the prize pool increases each time the game is played but not won, are typically the form of jackpot games played in most online casinos. Many machines are usually linked so that the prize grows exponentially. Mr Green has had many Jackpot winners. For example, our lucky player Jessica who won two huge Jackpots in two years. Our most popular Jackpot slots include Mega Fortune, Hall of Gods, Mega Moolah, Joker Millions, and Siberian Storm. Blackjack (also known as twenty-one) is one of (if not) the most popular casino games in the world. It is a card game that is played between the player and the dealer. There can be many players around a table. The players do not compete against one other; they only compete against the dealer. Blackjack can be played either using one or more decks of cards. The aim is to beat the dealer by getting 21 on the player's first two cards (called a blackjack), by reaching a final score higher than the dealer without going above 21, or by letting the dealer draw more cards until the hand exceeds 21. Baccarat is another card game between banker and player. Cards numbered two through to nine are worth their exact values in points. Tens, Jacks, Queens and Kings are worth zero in points, while Aces are worth the 1 point. Jokers are not at all used. A hand is valued by the rightmost digit of the sum of the cards; every round has exactly three differing outcomes. The player gets the higher score, or the banker gets the higher score or a tie. There are three variations of the game with the main difference being that in two of the variations (Chemmy and Banque) both players can make choices, whereas in the Punto Banco, the cards that are dealt directly influence each player’s move, making each player dependant on the cards dealt. Keno is a highly desired numbers game. Here, players pick numbers ranging from 1 to 80. Random draws choose 20 of those numbers. The final sum won by the player is dependent on the number of Keno numbers drawn and how many are a match to the player’s numbers, as well as the total of numbers the player chose, and the amount the player wagered. Checking the paytable allows the player to calculate the amount that a match combination and wager would win. At Mr Green, there is a Keno draw every minute with the potential to collect 100,000 euros on each draw. Almost every online casino offers various types of bonuses to players who are new and players who are loyal. These bonuses are a great way for new customers and visitors to get accustomed to the site and its various games, and they also offer fun additions and incentives for long-time players. Bonus designs vary between casinos. They are typically divided into two distinct types; Free Spins or a free amount of money. In both cases, they are used as welcome bonuses for new members, deposit bonuses you get after your first deposit or loyalty rewards for those who have been with a casino for some time. These bonuses allow you to play for free without risking your own money. With these bonuses, you can play for free without risking your own money. Casino bonuses typically have wagering requirements that you must play for a certain amount or a certain number of times (35 times is average) before being allowed to withdraw winnings that were won while your bonus was in effect. It is critical to read the casino’s terms and conditions carefully for a specific bonus to understand the wagering requirement. Welcome bonuses are a common practice and generally consist of a sum of money that you get when joining an online casino. These welcome bonuses are typically free from any deposit requirement, meaning that you do not have to put down any money to start playing. It is a good way to get familiar with the site and check out some of the games without any investment. Free spins are exactly as the name implies, spins that are free of charge. These bonuses can consist of a combination of free spins and free money. They are frequently offered as much-appreciated bonus rewards or as a welcome bonus. It is quite common that players win free spins while playing on slot machines which will cause the machine to continue to spin without additional charges. Free spins are a highly desired reward in online casinos. Phone: +44 20 35100870 (Local charges apply to calls). In 2017, we launched a predictive tool called Green Gaming, which is our answer to accountable and safe gaming. This tool can analyze a customer’s playing performance in an attempt to curb any bad habits or playing styles. 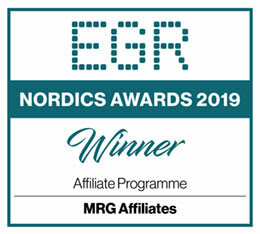 Using this tool, our customers can receive insights and analyses about their gaming behavior, unique to them and nobody else. If a customer's conduct is potentially dangerous or harmful, we can adjust our offerings and communications to that customer. For example, we may ask that a customer sets different limits for their playing or that they take a break if we believe they are exhibiting increased risk behavior. We also refrain from displaying and communicating sales messages that could make their gaming experience more harmful.